Peoria residents can’t access Bird-brand electric scooters anymore, as the company, as well as the City, had pulled out of the agreement. 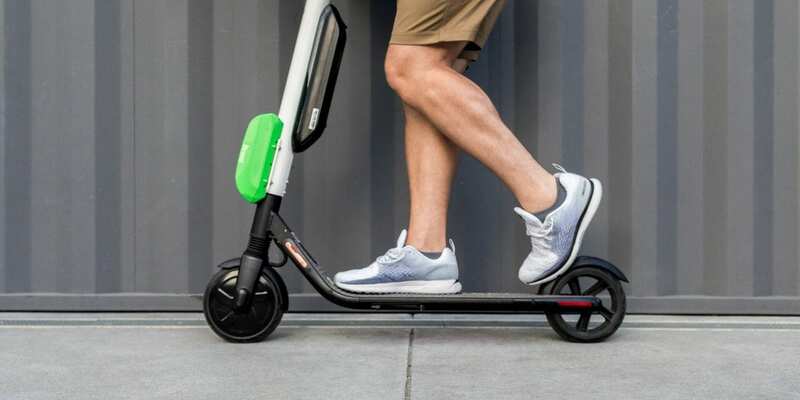 The City on Thursday made an announcement stating the dockless scooter pilot program was off after Bird “made major handwritten changes” to the agreement temporarily adopted in December that had been regulating the company’s operation. However, Bird sent a letter stating that it would pull out of Peoria due to “onerous regulations” by the City Council. According to the emails exchanged between the company and the City, Bird has proposed changes to the temporary agreement that would ease requirements on how often the company gave official reports to Peoria and would allow the company to track GPS data from the smartphones of users. Bird started its first operation in December after the city adopted a pilot ordinance in December allowing users to ride them on sidewalks. The plan was for the pilot to study ow the scooter system would be used, as well as any safety concerns and economic impacts. Peoria can store scooters that aren’t retrieved in a city building and wanted Bird to pick them up within two business days. Bird wanted two weeks. Peoria wanted Bird to provide updates on its scooter identification numbers every week. Bird requested monthly reports instead. Peoria said Bird could only collect GPS data from the scooters themselves and not from users’ smartphones. Bird changed the wording to say data wouldn’t be collected only from smartphones. Peoria wanted permission to release all non-identifiable GPS data. Bird did not want the Peoria city to have that permission. City wanted weekly data reports including details on system management, trip durations, and distances. Bird wanted to prepare monthly data reports. City wanted weekly GPS reports with specific GPS coordinates. Bird wanted the reports to be monthly. Peoria wanted to know all demographic data, such as the age and gender of the riders and the purposes of the trips. Bird denied that request. The City announced the split saying an agreement could not be finalized that would protect the city and its taxpayers. “As a result, the agreement was never finalized, and Bird will conclude its operations in Peoria,” the announcement said. As per the reports, the City wanted to levy a charge $25 for each scooter it had to relocate, an application fee of $2,500 and a monthly enforcement fee of $2.50 per scooter from the company. In comparison to Tempe charges its vendors an annual fee of $7,888, a daily $1.06 per scooter or bike that’s staged in a right-of-way and a $100 relocation fee for each bike and scooter that isn’t re-staged. However, the City manager on the departure said Peoria views “alternative personal transportation” as a priority. It should be reported here that Peoria City Council in 2018 approved a new, 15-mile city bus service, called Pogo that would operate near Arrowhead. It is expected to start its service from April. Along with Peoria, there are other cities in the valley that have regulated electric scooters. Scottsdale in November issued regulations on dockless scooters, restricting where users can park them and how many the company can stage at one location, among other things. Tempe in January passed regulations which require dockless scooter companies to pay thousands in annual fees, regularly re-stage scooters and limit how many can be staged in one area. Phoenix also ordinance also aims to limit how many scooters each vendor could have, how many are staged at each location and how far apart each location would be.